Diallyl Maleate | Polysciences, Inc.
Reactive functional monomer. 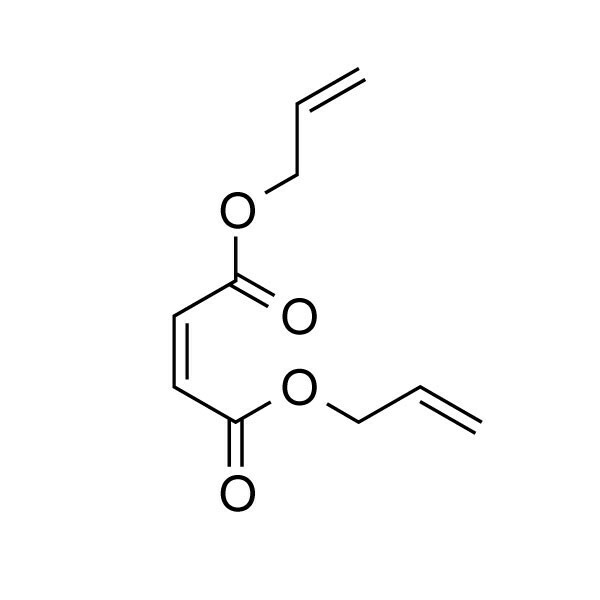 Polymers formed with the incorporation of Diallyl Maleate have pendant allyl groups. Applications for Diallyl Maleate include polyester resins, adhesives, and ion exchange resins. When used at low levels, Diallyl Maleate is an effective agent for the promotion of branching in emulsion polymers.